On behalf of admin of JML Law, A Professional Law Corporation posted in Product Liability on Thursday, Oct 26 2017. Johnson & Johnson, the corporation behind at least half of the personal-care products you and your family are probably using every day, is being sued nationwide over its powder products for allegedly causing cancer. There are more than 4,800 plaintiffs suing Johnson & Johnson across the United States over the corporation’s talc-based products, which they claim cause cancer. Most lawsuits are in California. After all, this is the company that manufactures baby care products. But here’s the most shocking part: many people don’t realize the scope of the problem. Many people don’t realize that Johnson & Johnson owns dozens of baby care, skin and hair care, women’s health care, oral health care and wound care products. Fun fact: Johnson & Johnson corporation owns the following brands (which you’re most likely using every day): Listerine, Clean & Clear, Johnson’s Baby, Band-Aid, Aveeno, Le Petit Marseillais, and many others. So should you throw all of the above-mentioned products out of the window? Should you throw all J&J products out of the window? This past week, a judge in California tossed out a $417 million jury award to a woman who claimed that she had developed ovarian cancer after using Johnson & Johnson’s talc powder for feminine hygiene. Judge Maren Nelson of the Los Angeles Superior Court cited insufficient evidence and errors on both the corporation and the consumers’ sides. However, the woman could still get compensated for her alleged damages, as the judge granted J&J’s request for a new trial. But not all cancer-related claims against Johnson & Johnson are ruled in favor of the personal-care corporation in Riverside, California and all across our nation. In fact, this past August, California resident Eva Echeverria was awarded $70 million in compensatory damages and $347 million in punitive damages after claiming she had developed ovarian cancer after using Johnson’s Baby Powder. Mrs. Echeverria accused the corporation of failing to warn consumers about the alleged cancer risks associated with the use of their talc-based products. In Missouri, concerned consumers have had much more success in the legal war against J&J. In the past few months, juries ruled four verdicts against Johnson & Johnson for a total of $307 million in compensatory and punitive damages. 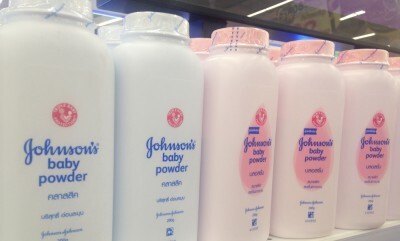 Should you sue Johnson & Johnson? Should you sue Johnson & Johnson for failing to warn consumers about the alleged cancer risks and get millions of dollars in compensatory and punitive damages? Or should you risk your health, by ignoring the ever-growing scandal involving J&J and continuing to use its powder products? If you or anyone in your family are using or have ever used any of Johnson & Johnson talc-based products, consult our Riverside product liability attorney at JML Law. If you have any reason to be concerned about your health and/or cancer risks, go through a full medical check-up. Seek the legal advice of our product liability attorney in Riverside or anywhere else across California by calling our offices at 818-610-8800 or sending us an email.